First you need to defrost the puff pasty in the package overnight in the refrigerator. This product thaws best this way and it is important to keep the puff pastry cold at all times. 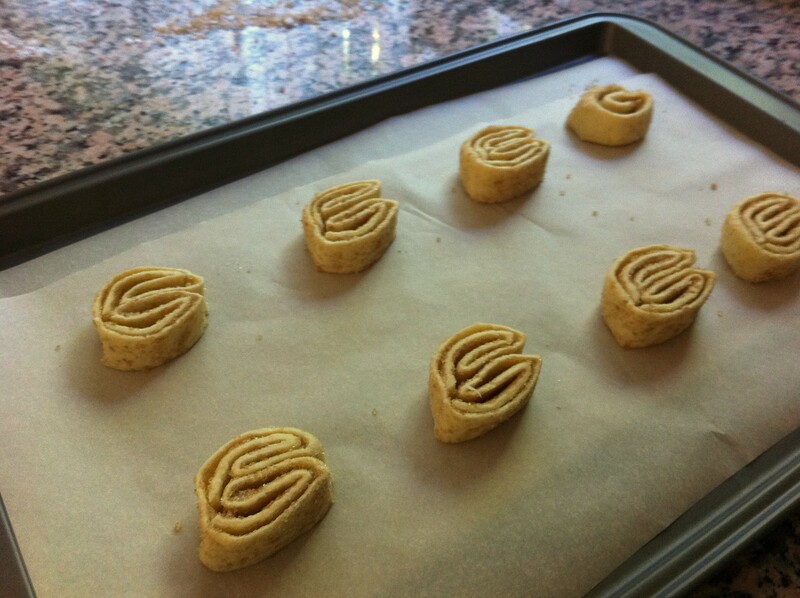 When the puff pastry is defrosted, preheat the oven to 425 degrees. 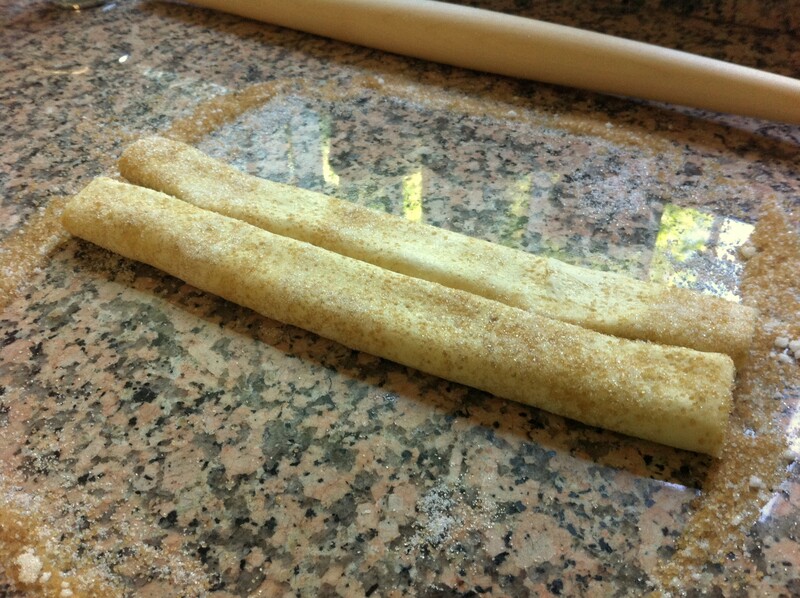 Line 2 sheet pans with parchment paper and set aside. In a medium bowl combine the 2 sugars together along with the salt and combine until fully incorporated. 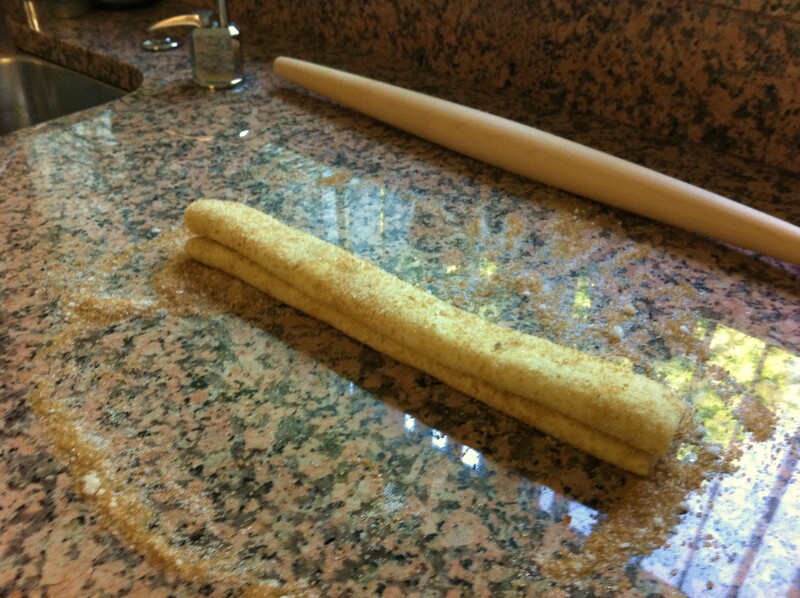 On a clean counter or wooden board dump one fourth of the sugar salt mixture in an even layer and place 1 sheet of puff pasty over the mixture. Next place another one forth of the sugar mixture in an even layer over the top of the same sheet of the puff pastry and gently roll the sugar mixture gently with a rolling pin to lightly press the mixture into the puff pastry. 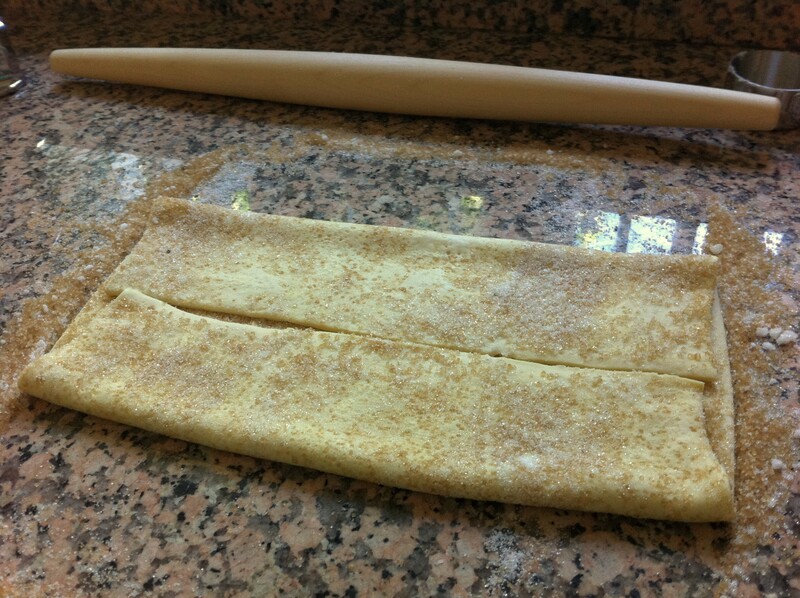 Now fold the sides exactly the same way so they meet in the middle again. Now fold them together like you are so you have one log that is eight layers in total. Now cut the log in half, then cut each half, then cut each of the halves into 4 equal slices so one log produces 16 even slices. Place the slices on the parchment lined sheets and place in the refrigerator to chill the puff pasty for 15 minutes. 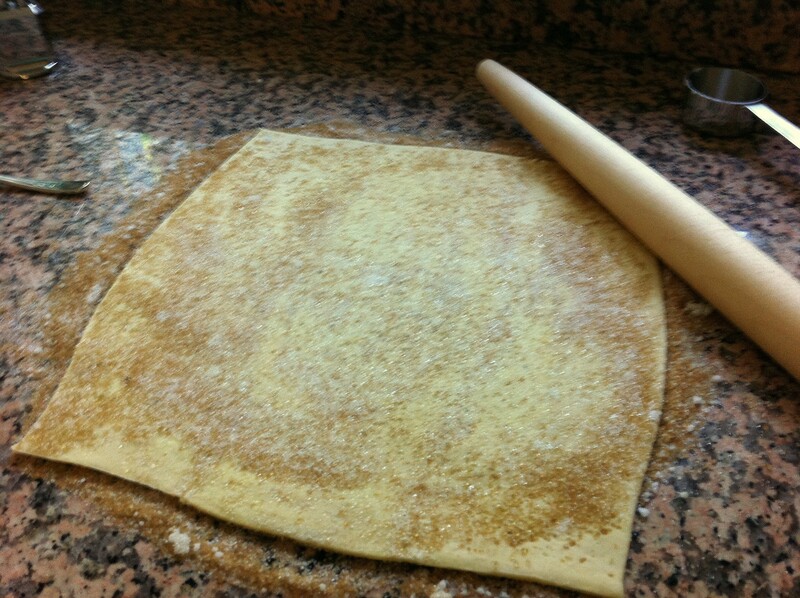 Repeat the same procedure with the remaining sugar and remaining sheet of puff pastry. 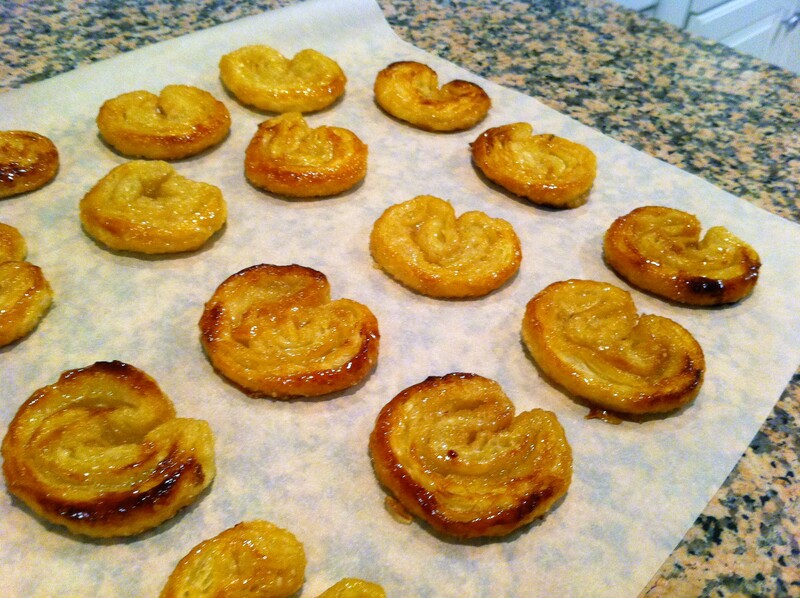 Bake one sheet at a time in the over on the center rack for 6 minutes, then flip the palmiers over and rotate the pan and bake another 2 to 4 minutes on the other side. 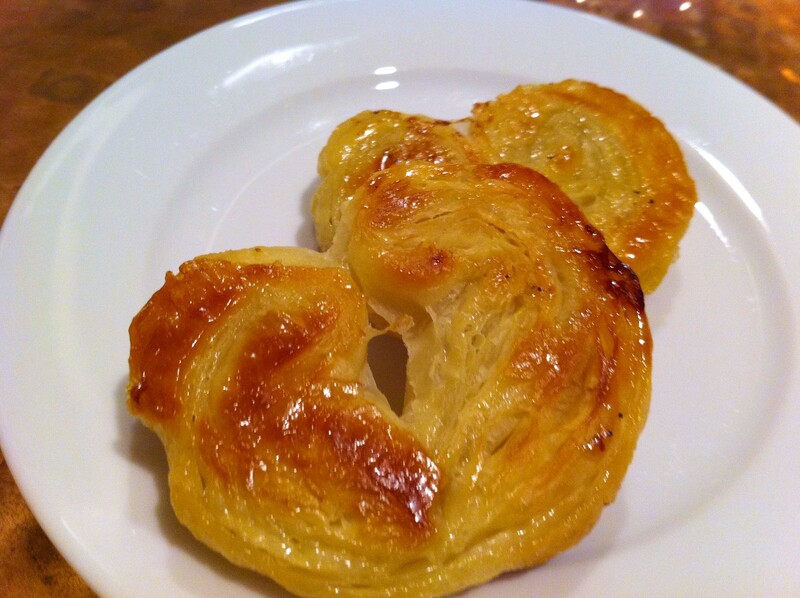 Place the finished palmiers on parchment paper to cool, be careful the sugar will be very hot. Serve at room temperature. 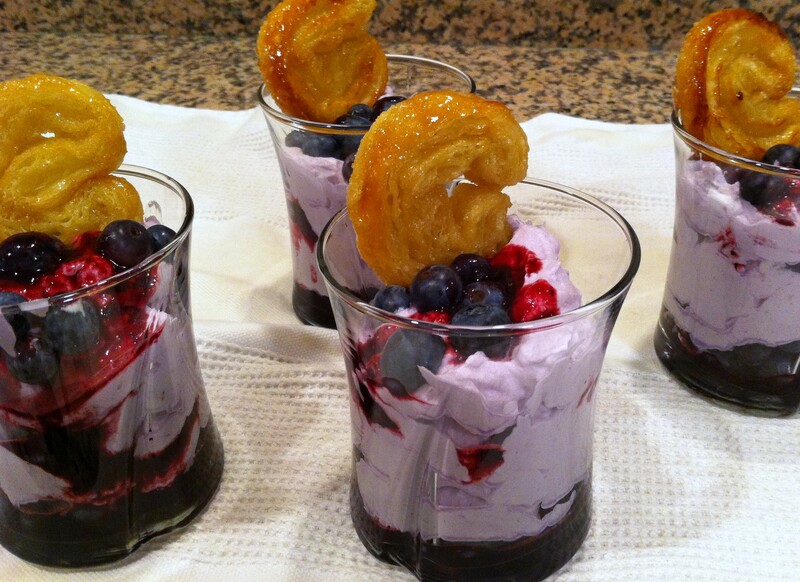 I like to serve with a berry fool! 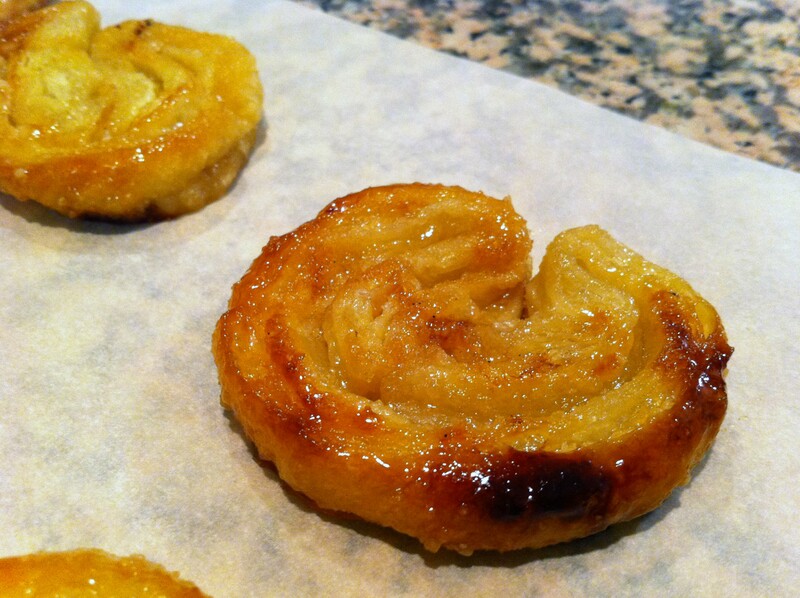 To store the palmiers, wrap in plastic wrap or in a air tight container for up to two days.